"We appreciate the chance to come to your career fair and love meeting your great students, especially the accounting, business mgt. and marketing students! They are top-notch! We look forward to continuing to be involved in hiring and training students for a long-term career in financial services and appreciate all you do and the quality of your students!" "We primarily recruit from SUU because the students are ready to hit the ground running when they graduate. The education students receive at SUU gives them the knowledge and experience they need to receive training and begin working right away. SUU students are thoroughly prepared through their experience at SUU to take and pass the CPA exam quickly. 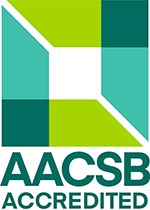 They have a strong drive to learn and succeed, which help them to handle the complex issues found in public accounting. We feel that SUU is a great training ground for future CPAs and its students are a natural fit for our firm." "It has been a great pleasure interacting with both the students and faculty at Southern Utah University. We have been recruiting top talent from SUU's accounting program for several years now. Deloitte has found that their students demonstrate a strong record of academic achievement, interpersonal skills, leadership, and maturity. The quality of the students from SUU is outstanding and the ones that we have hired have proven to be true assets to our organization. The faculty has built a program that has enabled their students to hit the ground running in our profession. Deloitte looks forward to continuing our recruiting efforts in the future!" "The Utah State Tax Commission Auditing Division is one of the largest auditing organizations in the state with over 100 professional auditors. We have been recruiting at Southern Utah University for many years with great success. We have found SUU students to be well prepared and professional in the interview process, and have found those students we hire to have the educational foundation needed to be successful in our organization. We also have many current employees who are benefiting from the on-line MACC program provided by SUU. Those courses will prepare them to sit for the CPA exam and continue to progress in their careers and work well for our employees while still working full time. 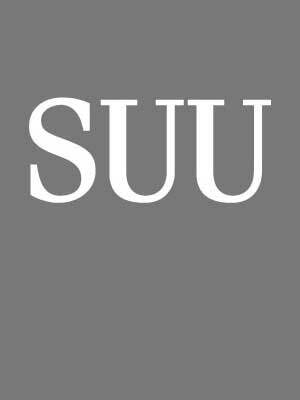 SUU has a great accounting program which prepares students very well for a professional career." "Piercy Bowler Taylor & Kern has consistently recruited and hired accounting students from SUU for the past 21 years. We find their students to be well trained and ready for the work force, including their knowledge of the accounting profession that goes beyond the classroom and into real world experiences through internships and prior job experience. Their work ethic, professional demeanor, quality of education, and personal values keep our firm coming back to the SUU campus to find our newest accounting associates. In fact, three of our four most recent hires were from SUU." "In multiple cases, we have been fortunate enough to hire some of the students who began working as interns, and are now tremendous assets to our organization. I know that had we not offered internship opportunities through SUU, we would have missed out on the chance to hire these very capable employees. It is our intent to continue our internship program with Southern Utah University, and consider it a privilege to do so."